It’s only been a year since we said goodbye to Cary Agos on The Good Wife, but Matt Czuchry is back in Fox’s The Resident. And it looks like he’s better than ever in the first trailer. 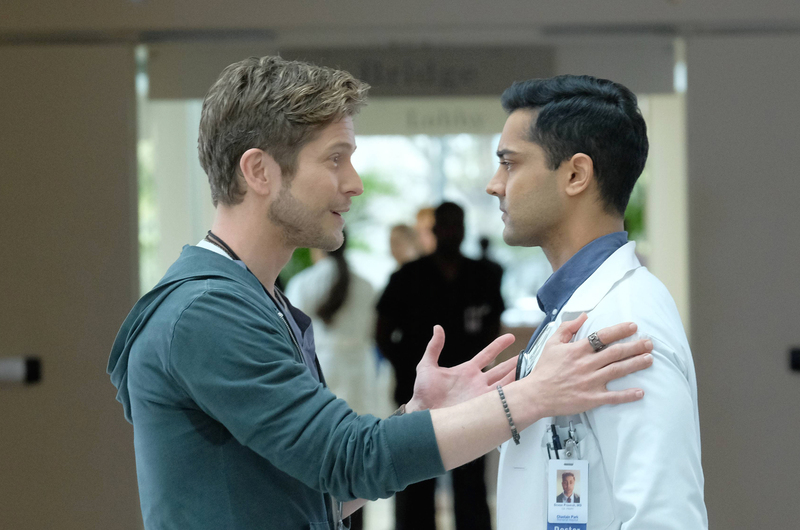 A far cry from Gilmore Girls‘s Logan Huntzberger, Czuchry plays Dr. Conrad Hawkins, a third-year resident at Chastain Park Memorial Hospital who takes it upon himself to burst the idealistic illusions of new residents. He’s charming and arrogant (so maybe not too much of a far cry from Logan…), but it seems like Conrad’s truly committed to saving lives. If you’re groaning at yet another medical drama joining the never-ending list of medical dramas, the trailer sets the series up to be a little more House than Grey’s Anatomy. In addition to Czuchry’s Conrad, The Resident focuses on first year resident Dr. Devon Pravesh (Halt and Catch Fire’s Manish Dayal), who is paired up with Conrad. There’s also the Chief of Surgery, Dr. Randolph Bell (Bruce Greenwood), the face of the hospital, whose increased errors have resulted in numerous coverups. The series also stars Revenge’s Emily VanCamp as Nicolette Nevin, an ambitious nurse with an on-again, off-again relationship with Conrad and Renée Wilson as Dr. Mina Okafor, a young surgeon with the capability to replace Bell. The cast itself is pretty fantastic so we’re pretty excited about this one. The Resident definitely seems more rooted in the medical aspects of the characters’ lives, with their personal lives coming in second. BUT, because this is still a network drama, we’re sure we’re going to get some wild curveballs — but maybe without the melodrama that seems to accompany Meredith Grey and co. wherever they go. The Resident is set to air on Fox sometime at midseason, so keep your DVRs ready.